I just wanted to share a few photos of my recovery process. I’m feeling good and very mobile, but it has been a lot of work. 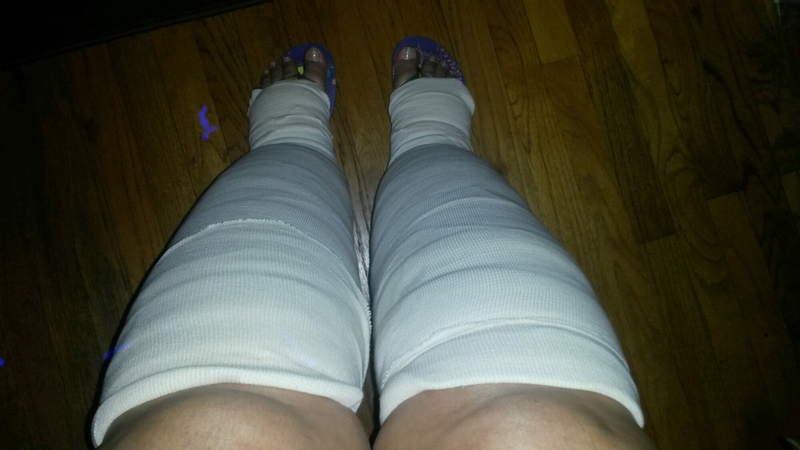 I have stage 3 Lipo-lymphedema. I have been attending physical therapy twice weekly, and taking my supplements. 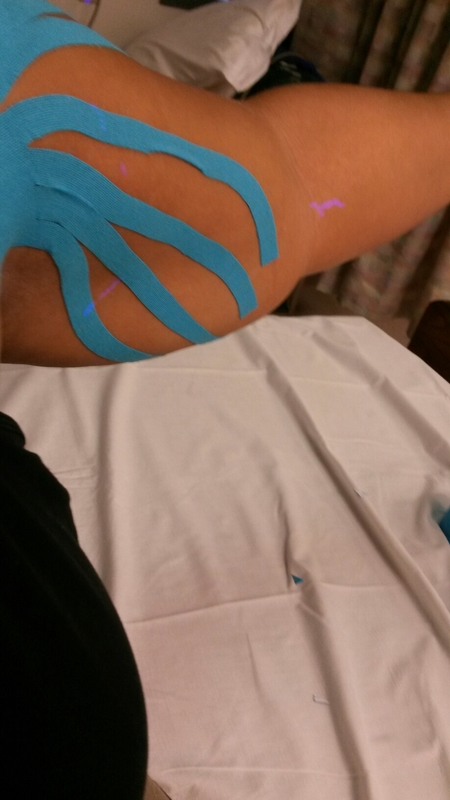 It involves complete decongestive therapy, which involves MLD massage, compression bandaging, skin care, and measuring of my affected limbs. 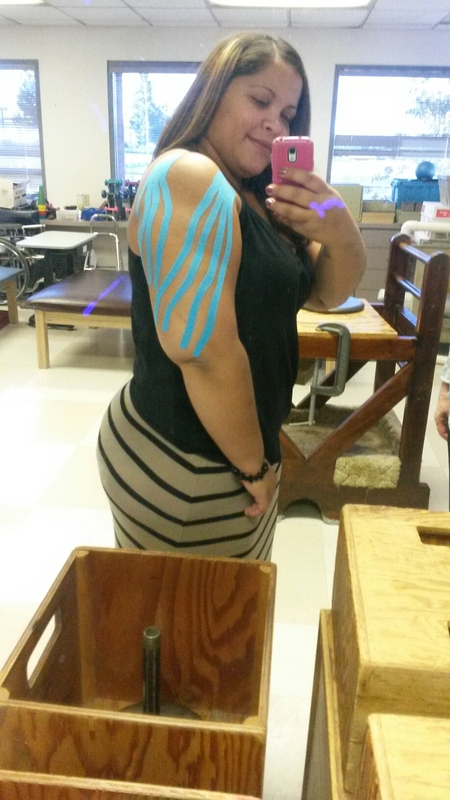 I have also tried the Graston technique of soft tissue mobilization and kinesio taping. The swelling is subsiding well but I am still trying to clear my body of residual hematomas (deep bruising/excess blood cell waste) in the treated areas. Many thanks again to my lymphedema therapist and physical therapist, Val Hunter, PT CHT from the Providence St. Joseph Occupational Health Center. Next Post Watch ‘Living with Lymphedema and Lipedema’ on The Doctors TV Today!